Find a location that offers you an unobstructed view of the south-southeast horizon around 1½ hours before sunrise on 22 January 2019 to see the close conjunction of Venus and Jupiter. The pair lie just 2.4 degrees apart in the constellation of Ophiuchus at this time. AN graphic by Ade Ashford. 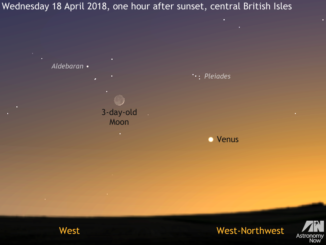 Observers in Western Europe with a clear view to the south-southeast at nautical dawn (currently around 1½ hours before sunrise in the heart of the UK) can watch the changing configuration two prominent naked-eye planets over the next few mornings, culminating in a beautiful close conjunction this week. 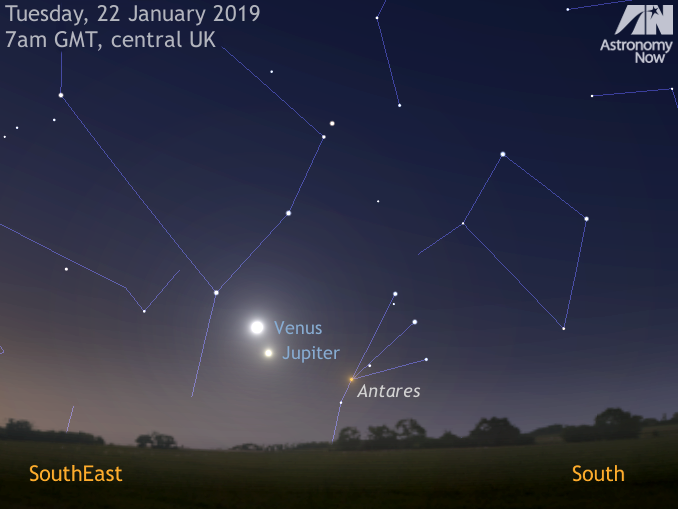 Magnitude -4.3 Venus can be found 2.4 degrees north of magnitude -1.8 Jupiter at 7am GMT on Tuesday, 22 January 2019 against the constellation backdrop of Ophiuchus. The planetary pair will therefore fit in the same field of view of just about any binocular, or telescopes magnifying less than about 20×. Higher telescope magnifications reveal that Venus has a gibbous disc spanning 21 arcseconds, while Jupiter appears around 1½ times larger at 33 arcseconds. 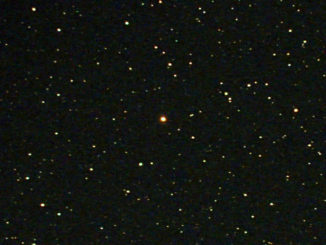 On the morning of 22 January Venus and Jupiter lie 0.796 astronomical units (119 million kilometres) and 5.98 astronomical units (895 million kilometres) from Earth, respectively. If your skies are particularly clear, look for first-magnitude star Antares in the constellation of Scorpius about a span of a fist at arm’s length to the lower right of Venus. Find a location that offers you an unobstructed view of the horizon from south to southwest an hour after sunset. With clear skies, you’ll be able to follow Venus and Mars from night to night on their celestial peregrinations through the constellations of Sagittarius and Capricornus. 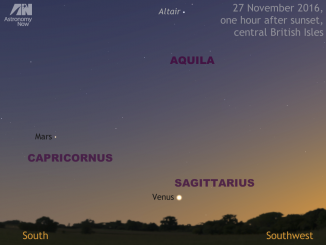 The two planets almost keep pace with each other throughout the remainder of November.